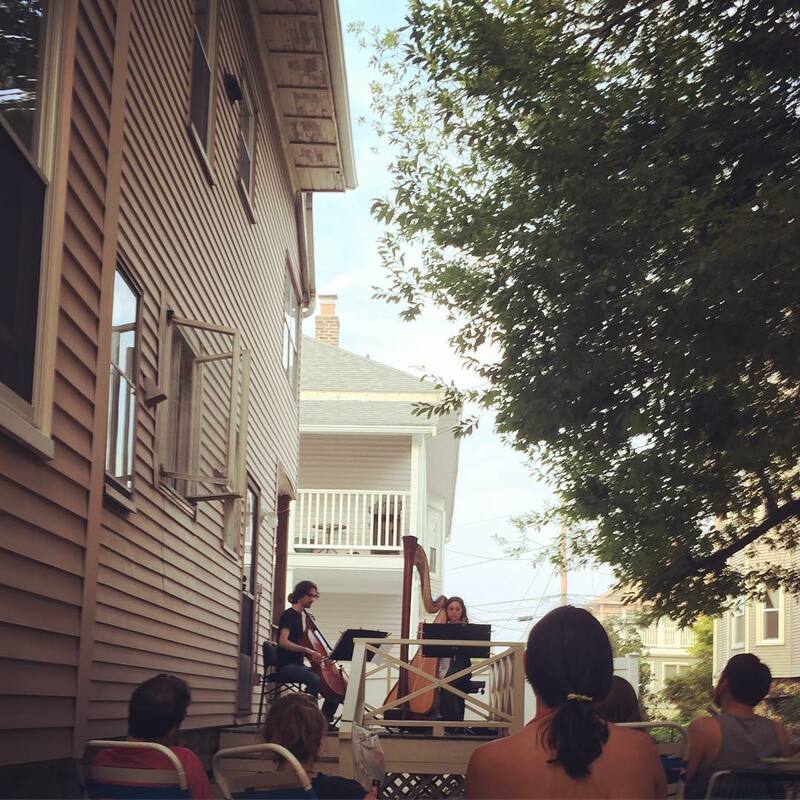 Strange Interlude plays house concerts throughout the year, but there’s something special about sultry summer evenings. Our hosts last week were kind enough to take this beautiful photo of the summer sun over their back porch. The evening began with a classic summer cookout (the burgers definitely stole the show – I’m not sure what kind of secret blend of spices they were seasoned with, but they were delicious!) along with the hosts’ family, neighbors, and friends, all of whom were delightful company. As the sun started to get lower in the sky, we began the music – a program featuring pieces from Lou Harrison to Heitor Villa-Lobos, as well as a preview of our transcription of Debussy’s cello sonata. One of the fun things about summer concerts is that they draw some unexpected audience members – sometimes this might mean a passer-by stopping on the sidewalk listen for a moment, and at this concert we also had a rabbit who paused to listen for about 10 minutes, ears perked up. It was an absolute pleasure getting to share music we love so much with such an appreciative group – we really enjoyed having a chance to play and chat with everyone afterwards and the rose-infused wine we enjoyed post-concert was amazing! P.S. If you are wondering what Strange Interlude is, or what we mean by a house concert, feel free to click on the above links to find out!